“We need yellow because the cars were going too fast!” Said kindergartner Immanuel Ojimba. 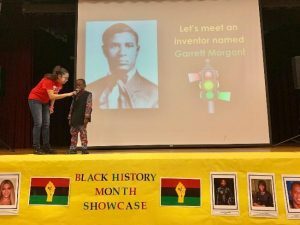 Immnauel presented on Garrett Morgan, the inventor of the yellow light. Immanuel and his teacher did a demo where they asked members of the audience to come up on stage and run when they said green light and stop when they said red light. They did the same test again using the yellow light to show how it’s easier to stop when you have time to slow down. 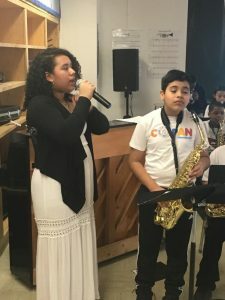 In the middle school this year they focused on black women who have shaped history with the theme “Legends… Past, Present and Future: Celebrating, Women of Color in the Arts”. At the showcase, students paid tribute to women of color who mean the most to them. One of the most moving moments came when 8th grader, Shaideed Grant read a poem he wrote to his mom. “Even if I want to give up, she makes sure I do great,” he read. “Mom, this one’s for you and all the things you do. You say, ‘never give up don’t do this for me, be successful for you.’” His poem was met with a massive applause from students and teachers. Shaideed’s mom said he did a reading of the poem for her and she was so moved it brought tears to her eyes. In the high school, 11th grader Iyana Providence was another student who delivered another moving performance. Iyana felt that Black History Month at Hyde gave her the opportunity to illustrate (and take her peers on a journey of) black female empowerment, through dance. She choreographed a piece that exemplified black women’s history while incorporating moments from her own life, through contemporary dance. 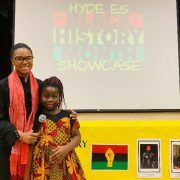 Iyana felt she owed it to her community, her family and her friends to illustrate black history, the fact that it is currently being made, and that she can have a hand in making that history. 10th grader Jenice Alcantara’s road to debate team success was not an easy one. For a long time, public speaking was her biggest fear. Debate team coach and English department head, Mark Fusco first met Jenice in the summer program he manages for rising high schoolers. He was impressed by her writing ability and spirit. Despite her fear, Mr. Fusco saw incredible potential. He told her if she worked at her public speaking, she could be an incredible debater. The more Mr. Fusco encouraged her to debate, the better Jenice became at debating. Now, 2 years later, Jenice leads the debate team. 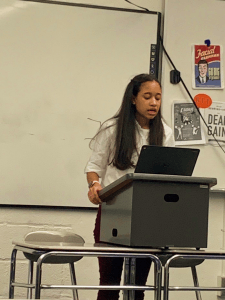 Jenice Alcantara, 10th grade, debates at Harvard University. It was no small undertaking, but for Mr. Fusco and the students, it was worthwhile. Mr. Fusco views debate as the ability to use speaking, reading, and writing skills to passionately convey perspectives. For that reason, debating for Mr. Fusco falls perfectly in line with our core values at Hyde. 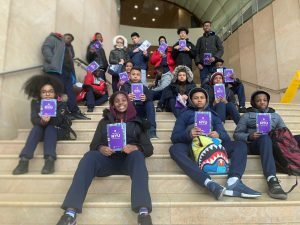 “At Hyde, we teach kids skills for life,” he said, “other than empathy and a sense of connection to humanity and helping others, which are all huge, the skills that debate teaches you are essential for being successful in life.” The students were even able to visit Harvard University! The team was put in a situation where they interacted and competed with children from all over the country, as well as schools from the Dominican Republic and China. Debating has been life – changing for Jenice. She believes it has made her stronger. It has given her confidence in her convictions and speaking abilities. “Throughout a debate, you have to defend and advocate for yourself and arguments,” she said. Debate has shown Jenice how courageous, smart, and powerful she is. “I took all I’ve learned in debate and translated it into my personal life,” she said. It is through debate that Jenice came to understand she can overcome any obstacle before her. 8th graders Shamel Lucas and Sebastian Perez know how to wire the interior of a home and wire a security camera. Shamel and Sebastian have also received their OSHA-10 certifications, which is the official certificate of competency issued under the Occupational Safety and Health Act. These valuable skills and certification represent the tremendous success of J Term at Hyde. This past January, Hyde launched our first ever J Term. J Term, short for January Term, are courses done during the month of January, where students are able to immerse themselves into a single subject, often without being confined by school walls. 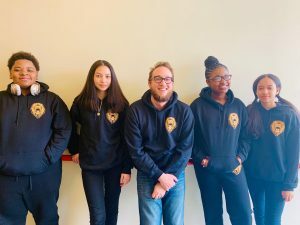 “We wanted to provide the opportunity for students to experience a nontraditional way of learning and explore their potential,” said Dr. Sharilyn Fletcher, the Middle School Dean of Curriculum and Instruction. J-Term is the vision of Middle School Director, Lex Zain, who particularly enjoyed J Term while studying at Middlebury College. 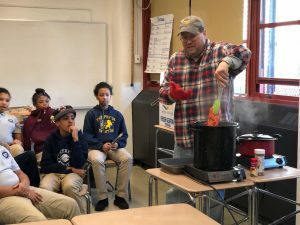 For his J Term course, Carlos Rodriguez, the interim Middle School Director, while Ms. Zain was on maternity leave, decided to teach a class called Automobile Care 101. The course was designed to introduce students to basic car maintenance. During classroom time students would watch videos and read manuals of different kinds of cars in order to prepare for the labs. In the outdoor lab, the kids rotated and changed tires, oil, spark plugs, air and cabin filters and fuses and learned how to properly detail a car. 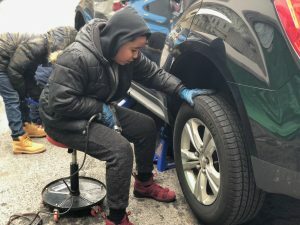 The class especially proved to be a transformative experience for 5th grader, Jeremiah Rosario, who discovered that working on cars was his passion. “That turned out to be his love, and that’s unique potential,” said Mr. Rodriguez. “Getting a 4th grader to lift a car onto a jack and then put it on a jack stand? That is a big display of courage,” he said. J Term fits right into Hyde’s focus on the unique potential of a child. 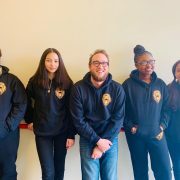 “Students had to step out of their comfort zone and engage in new experiences with little to no knowledge of the class they’d signed up for,” Nicholas O’Neal, a middle school special education teacher, said. 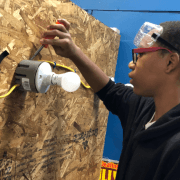 Students worked on calculating voltage, amps, and watts, learned how to use basic tools, to be safe while using them, and how to wire lights and receptacles. His desire for kids to step out of their comfort zone was ever-apparent when students studied to obtain their OSHA-10 certifications. Sebastian feels that what he learned from Mr. O’Neal will benefit him once he enters the workforce. “The basic things we learned, I feel will help me out and I will remember them forever,” he said. Rachel Aviles, a 7th grader said she signed up for Hyde Culinary because she wanted to learn how to cook a more diversified range of foods. The class included a lot of field trips as well. Students went to the Culinary Institute of America, D’Arrigo, Nebraskaland, Urban Health, and concluded the course with an Iron Chef-style competition at Baldor Specialty Foods. Skyla Abud, an 8th grader said that a high point for her was the class took a trip to the Culinary Institute of America. She loved watching chefs in training prepare meals. Before J Term, Skyla was always a little nervous about jumping head-first into something she had never really tried before. “You build your character by getting involved in things you might not do otherwise…I’ll remember a lot of the techniques they taught us on how to cook. They taught us a lot,” she said. Mr. Froman’s class is an example of how the courses may have been staff created, the majority of them were actually student-led. The staff at Hyde have high expectations for students, and each program obtained its own level of success. From the fund-raising to the course development, so many pieces came together to make the program a roaring success. “ I refer to all of [our programs] as having their own magic,” said Dr. Fletcher. Sherley Frias, an 8th grader said that Girl Rising was an empowering experience. “Hyde is really about integrity, leadership and courage…and I feel like [Girl Rising] brought us together and gave us another opportunity to show courage and brother’s keeper,” Sherley said. Nassogona Cisse, an 8th grader, chose Girls Rising because she wanted to find new ways to resolve issues. 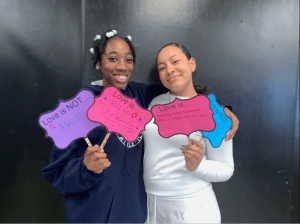 The girls explored issues around self-esteem, gender, family dynamics, healthy and abusive relationships, culture, art and dance therapy, and discussed powerful women of color. Nassogona felt like she gained a lot of self-awareness from Girl Rising. “I’m going to try and bond with new people,” she said. Ms. Garcia and Ms. Paulino feel the whole process was a great success. 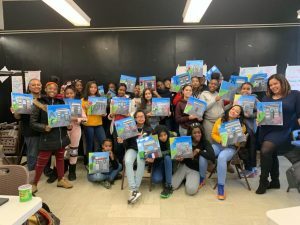 “It was an extremely rewarding process for both the girls and the facilitators and one that I absolutely look forward to repeating,” said Ms. Garcia. 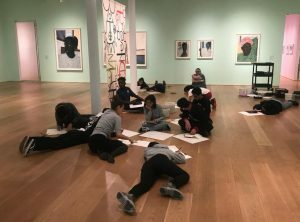 Students have free drawing time at the Drawing Center in SoHo.